LouEllen ?Nancy" Torbett , age 93, passed to her heavenly home on August 4, 2015, surrounded by her loved ones. A life-long resident and native of Piney Flats, Tennessee, she was the daughter of the late Nell Hughes Campbell and Curtis Campbell. She was preceded in death by her husband of 59 years, Hugh Allen Torbett, and by her brother Fred Campbell. 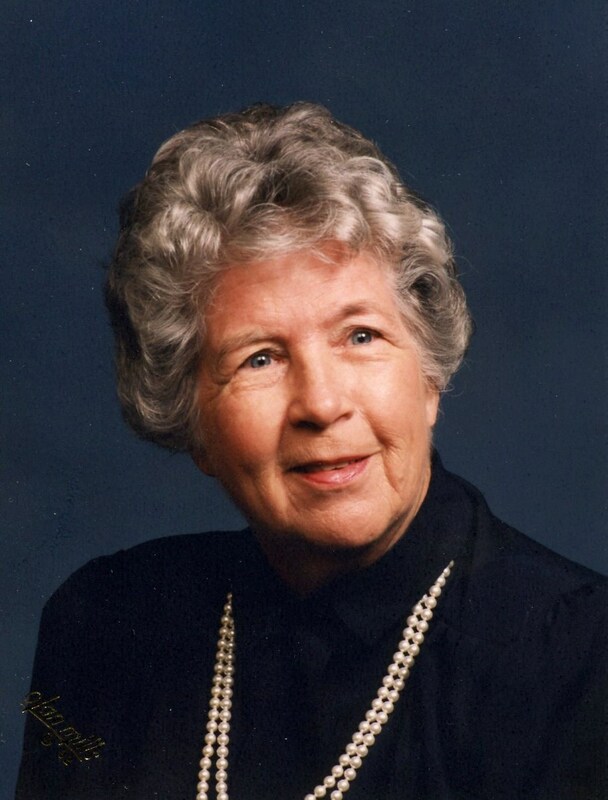 She attended East Tennessee State College and worked for the Department of Defense during World War II. After she married and her children were in school, she began a career at Raytheon Corporation working full time while also caring for her family. She served there until her retirement in 1968. Nancy kept a beautiful home and enjoyed tending to her lovely flower beds and lawn. Renowned as an excellent cook, her home was a family gathering place where many wonderful meals were savored. She was an avid reader and lively conversationalist, and delighted in the visits of friends and family. She was a member of Westminster Presbyterian Church and a faithful servant of our Lord. Nancy was a loving and devoted wife, mother, grandmother, sister, and friend. The memory of her gentle spirit and wise counsel will be cherished by those who knew her. She is survived by her children and grandchildren; daughter Martha Snider and husband Larry Snider of Jacksonville, Florida, son Michael Torbett and wife Louminda Torbett of Maryville, Tennessee, granddaughter Beth Brewer and husband Jeff Brewer of Nashville, Tennessee, and grandson Chris Cox and wife Pam Cox of Piney Flats, Tennessee. She is also survived by great-grandchildren; Kelby Arrowood, Cameron Brewer, Clark Arrowood, and Carson Cox. Additional survivors include nieces, a nephew, several cousins, and treasured friends Ed Behtz, Sarah Behtz, Linda and Glen Stipes, and Jane Garland. A wonderful and kind lady. Will miss her very much. I remember Nancy as being a sweet person who was always kind to everyone. I used to see her around Piney with Allen years ago. Last time I saw her I visited her about 3 years ago and she was so happy that I came to see her. She looked very good and had a great memory! She will be greatly missed in Piney…RIP, Nancy…. So sorry for your loss sweet family. What a wonderful life she lived here on this earth as her promised greater life arrives. May God bless each of you. My Aunt Nancy was God’s Trophy of love, forgiveness, kindness and wisdom. She loved my dad, her brother Fred Campbell unconditionally! Such an inspiration!! ? What a wonderful beautiful lady. My Sunday School teacher as a kid. One of those persons you have in your life you never forget. Aunt Nancy meant the world to me, and to my siblings- Eddie Campbell, Michelle Campbell and Amy Campbell Boone. As her nieces and nephews, we loved her immeasurably. She was a teacher, a confidante, a friend-and our father’s (Fred) loving sister. We shared very special moments with her- especially as adults. She gave us the appreciation of genealogy, gardening, cooking, spirituality, and unconditional love. Aunt Nancy, you will be sorely missed, but forever in our hearts. Rest in perpetual peace. My husband and I retired to Gray from Colorado Springs on July 30, 2001. We were recommended to visit Westminster Presbyterian Church. We liked it very much. The Women’s ministry had their kick-off dinner at the end of August. Nancy welcomed me to her table; she made me feel at home. I enjoyed her memorial service. The Lord Jesus was present there.